A broad-spectrum dewormer for sheep, cattle and goats. As an oral suspension (drench) for use in sheep, cattle & goats. Controls: tapeworms, stomach worms, intestinal worms, lungworms & mature liver fluke in sheep and cattle. Controls liver flukes in goats. 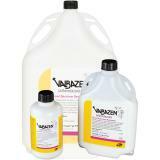 The 1 liter and 5 liter Valbazen is supplied in a very handy backpack container. Will attach directly to an automatic drench gun. Attach straps, hang on your back and it is a reusable drench container. 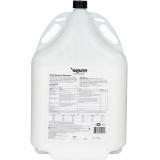 Administered to cattle at recommended rate of 4 ml/100 lb of body weight. Administered at the recommended rate of 0.75 ml/25 lb of body weight. Do not administer to ewes during the first 30 days of pregnancy or for 30 days after removal of rams. Administered at the recommended rate of 1 ml/25 lb of body weight. Do not administer to lactating animals. Withdraw prior to slaughter­—27 days (cattle) and 7 days (sheep and goats). See additional warnings and cautions on label. Do not administer to ewes during the first 30 days of pregnancy or for 30 days after removal of rams. Great product, very fast shipping and packaging. Perfect product. Great, prompt service. 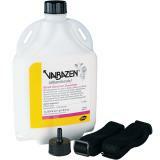 I have used valbazen for a few years. I change wormers so hopefully the worms don't become resistant to one specific dewormer. Valbazen is the only one to kill tapeworms. I just keep my border collies away from the sheep droppings for a few days. The dewormer is an excellent product and does what is stated on the instructions.